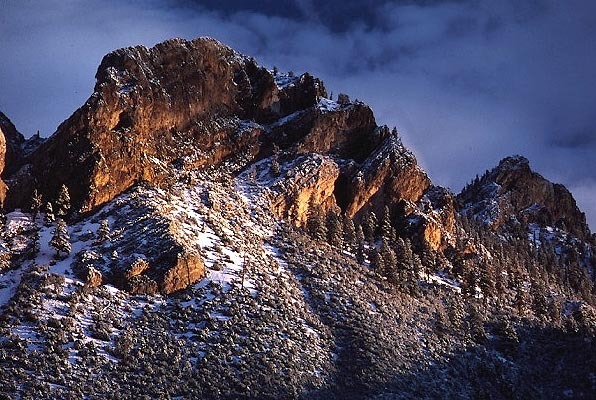 The sun rises on some freshly snowed, unnamed crags, seen here from the old Mt. Charleston Lodge. Photo taken October 3, 1986 by Petesthousandpeaks.